Durga Puja, also called Durgotsava, is an annual Hindu festival in the Indian subcontinent that reveres the goddess Durga. Just join with your friends and family to enjoy. Please bring print out of registration confirmation with you. Premier Tickets is an online event marketing and ticketing agency. 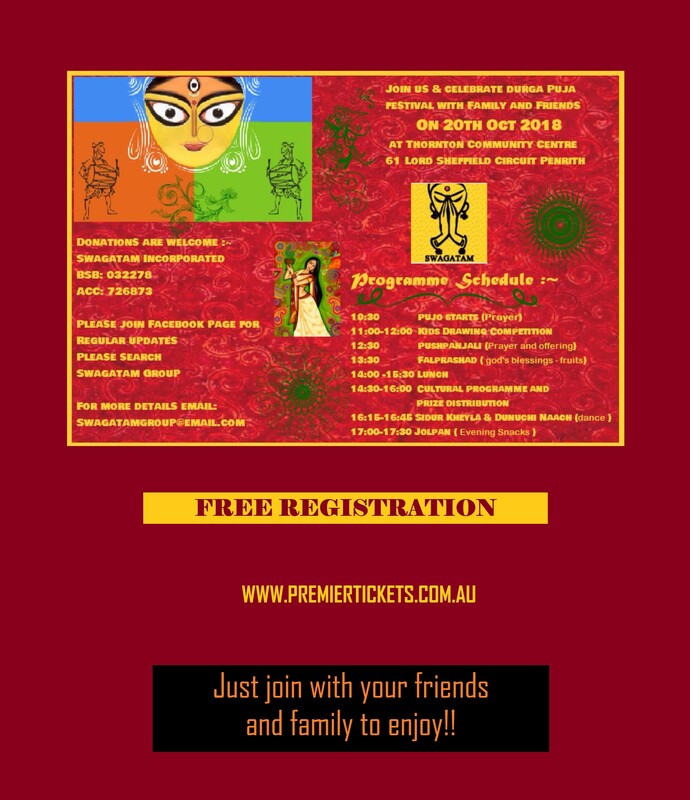 Premier Tickets will NOT be responsible for any changes related to the event schedule, artist, venue or cancellation and refunds related to the tickets for SWAGATAM Durga Puja 2018 – FREE ENTRY. 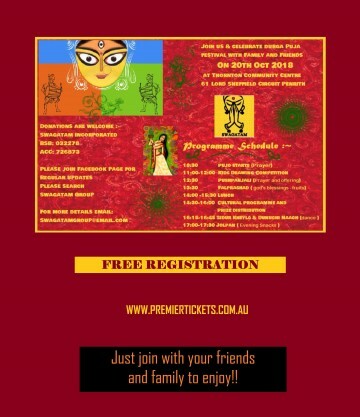 Premier Tickets Australia is proud to be the online ticketing partner for Durga Puja 2018 – FREE ENTRY @ Thornton Community Center.